Hey, take a look at this great nonprofit webinar Free Webinar: Why Build Relationships with Grantmakers? (Recording) at CharityHowTo! This webinar recording is brought to you by a GPA approved trainer. Diane H. Leonard, GPC is one of only 15 GPA approved trainers. In this webinar recording, we talk briefly about *why* relationships with grantmakers are important. We will share ways to learn if a grantmaker has the capacity to have relationships with potential grantees prior to submitting an award versus what their preference is for communication prior to an award. Diane H. Leonard, GPC is an experienced and highly respected grant professional who has provided grant development counsel to nonprofit organizations of varying size and scope for more than a decade. Diane has secured more than $51.1 million dollars since founding DH Leonard Consulting & Grant Writing Services in 2006 in competitive grant funds for its clients from the federal government, state and local governments, and private foundations. Diane is an active member of the Grant Professionals Association and is proud to have been awarded her credentials as a Grant Professional Certified, a credentialed certification conferred by the Grant Professional Credential Institute. 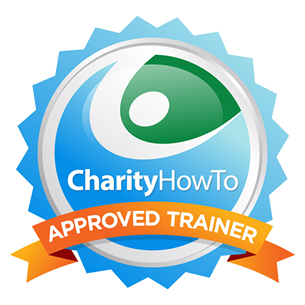 Diane is also an approved trainer through the Grant Professionals Association.